NOTE: NOT for contact lenses!! Great for Binoculars, Telescopes, Cameras and of course Spectacle lenses! Safe on all lenses. Improved performance with a micro fibre cloth. 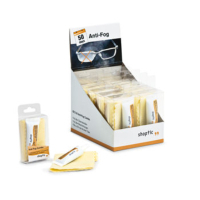 Lots more products for Cleaning your Lens in stock.